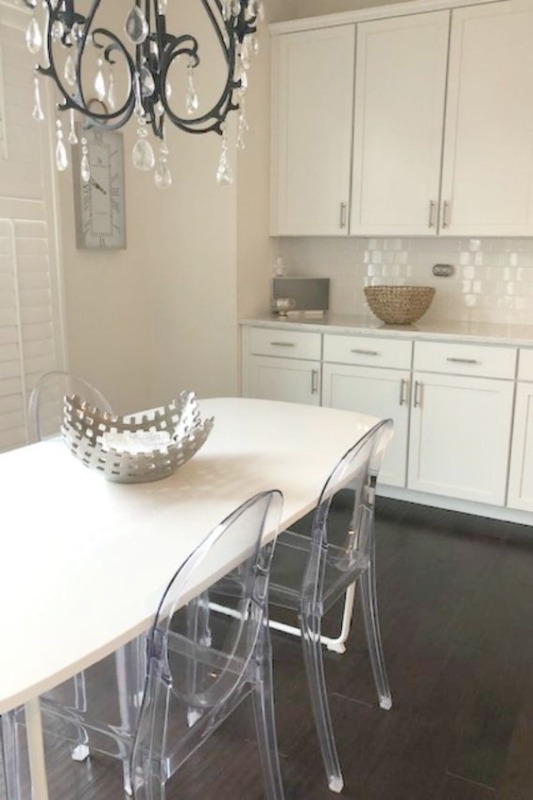 Choosing a material for kitchen counters can be a daunting one, and I personally spent a fair amount of time mulling over options even after deciding I wanted a bright white quartz. Four years later, I still love Viatera Minuet quartz! This is not one of those promo-sponsory type posts, by the way. Nope. I paid hard earned cash for these pretty quartz counters! 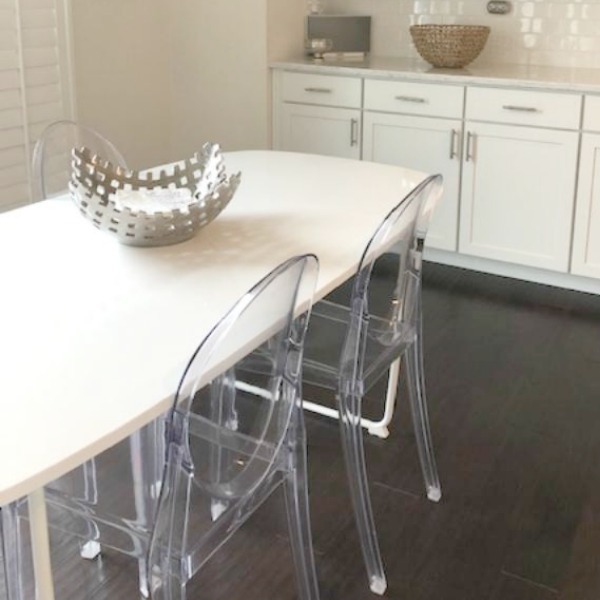 Since I field so many questions about this particular white quartz countertop we chose for our completely renovated kitchen, I’ll try to enlighten you as best I can in 15 Smart Reasons to Choose Minuet Viatera Quartz. Hello Lovely Studio. 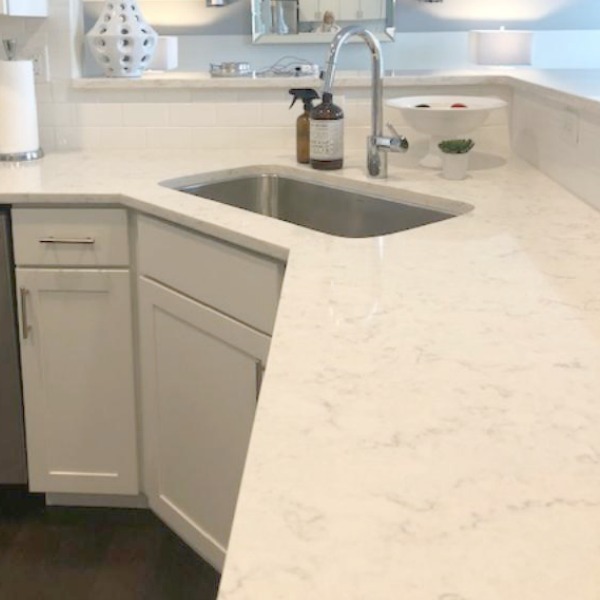 Viatera Minuet Quartz countertop in our kitchen design is bright white, serene, and elegant as well as durable and easy to clean. SHOP MY HOME HERE. 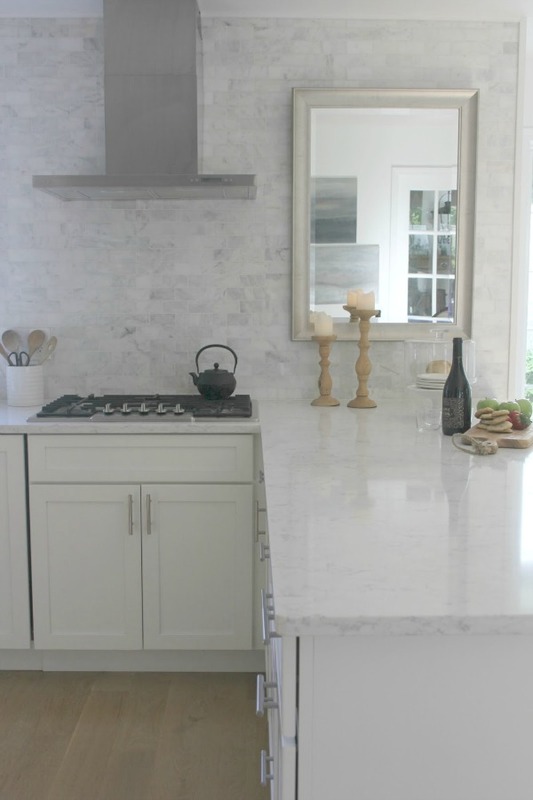 15 Smart Reasons to Choose Minuet Viatera Quartz for Counters in the Kitchen and Bath…in case you are trying to decide. In this short video I made (ignore me, just watch for the countertop in our kitchen!) you’ll get a glimpse of Viatera Minuet. Because quartz is not porous like natural marble or wood, it won’t absorb nasty unhygienic substances left behind on the countertop. While a countertop material like laminate is solid, it may contain formaldehyde which can be toxic. I’m allergic to formaldehyde so this solid surface makes me happy. 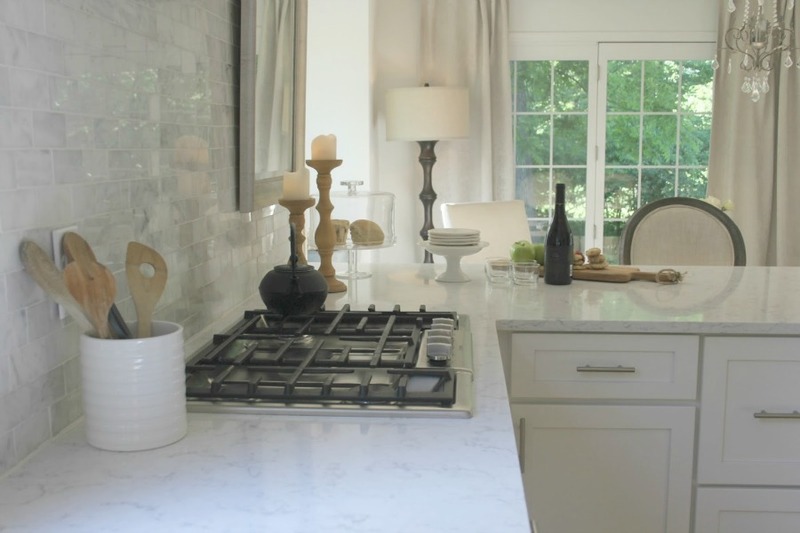 Read more about the benefits of Viatera quartz here. Hello Lovely Studio. Viatera Minuet Quartz photos of countertop in our white kitchen. 15 Smart Reasons to Choose Minuet Viatera Quartz for Counters in the Kitchen and Bath…in case you are trying to decide. SHOP MY HOUSE RIGHT HERE. 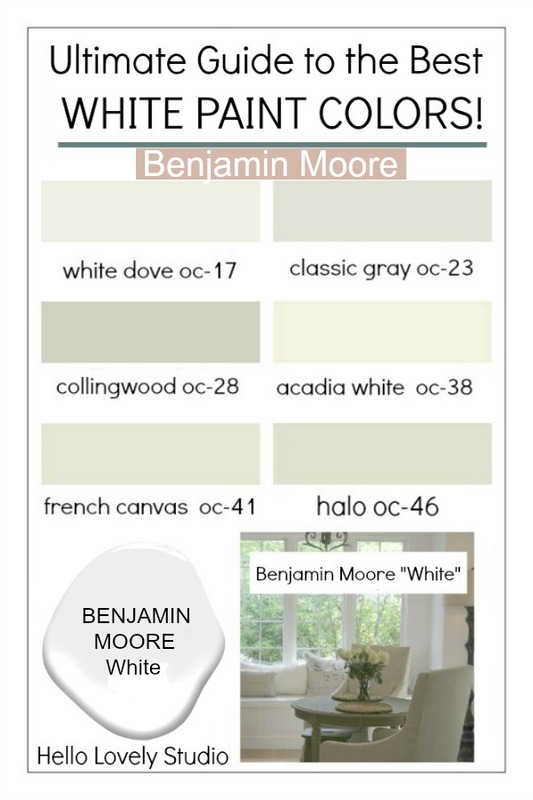 The white paint used in the kitchen and throughout our home: BENJAMIN MOORE White. 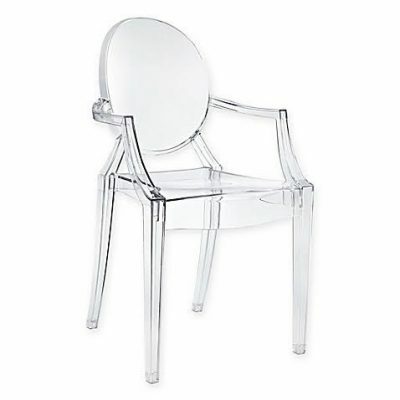 See THIS STORY for how to choose the right white paint for your space! I am often asked about Minuet’s veining, and I would have to rate it somewhere in the middle in terms of its boldness. Other samples of quartz I brought home were slightly more subtle (i.e. Caesarstone London Grey, Viatera Cirrus) and plenty were bolder (i.e. Silestone Pietra). Is it busy? Not for me. This is a highly subjective matter. 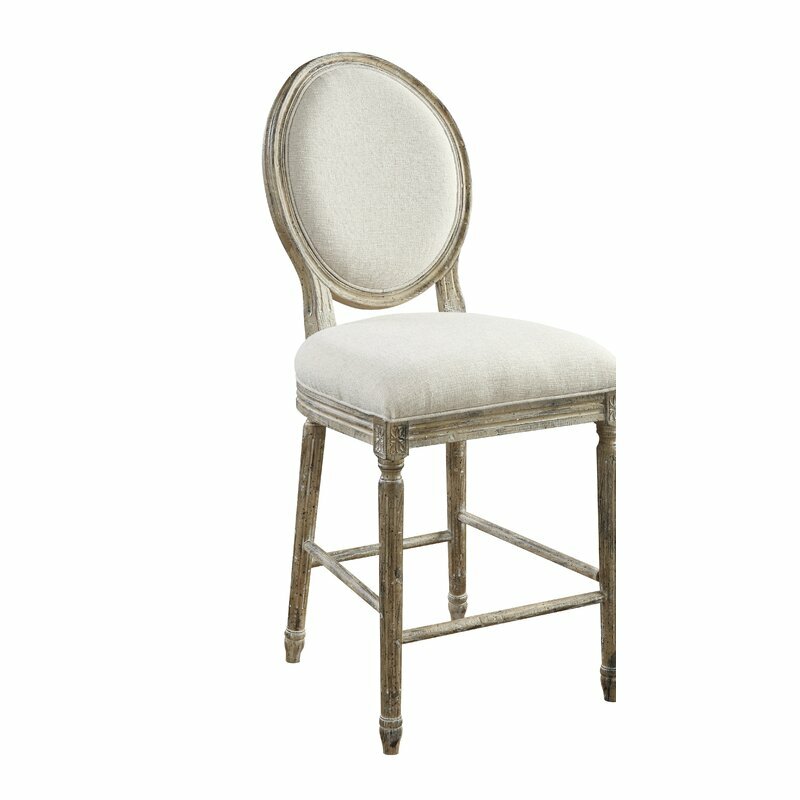 Order or bring home samples from the showroom to see what is candy to your eye. 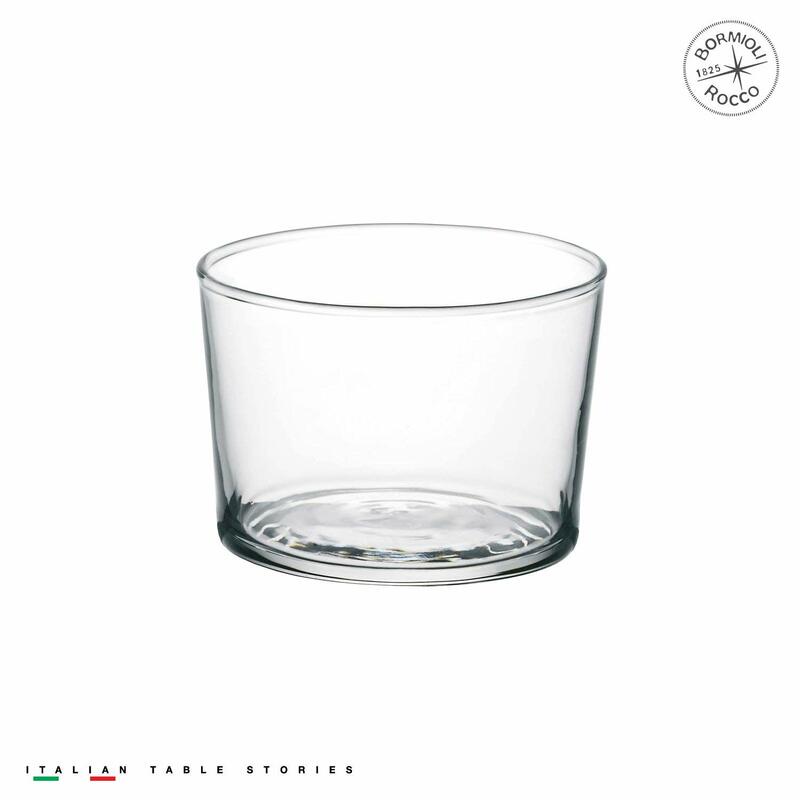 Click here to buy a sample of Viatera Minuet quartz. Hello Lovely Studio. SEE MORE OF MY KITCHEN HERE. 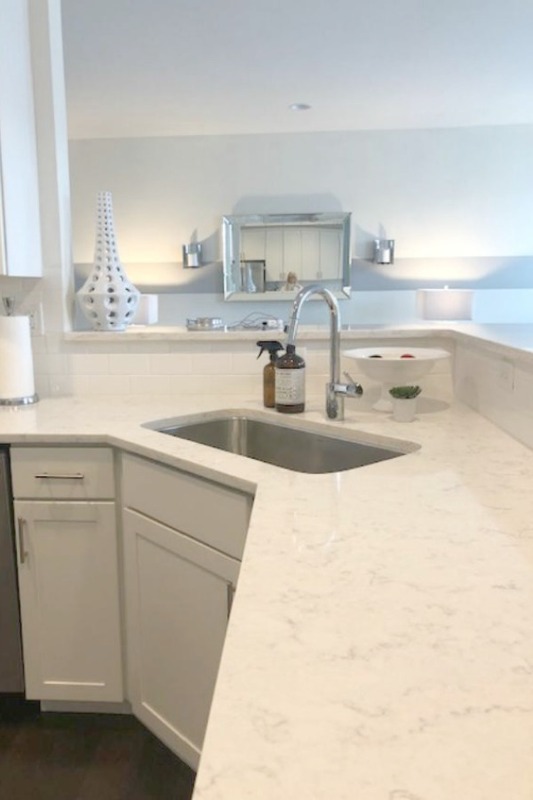 Viatera Minuet Quartz countertop in our kitchen design is bright white, serene, and elegant as well as durable and easy to clean. 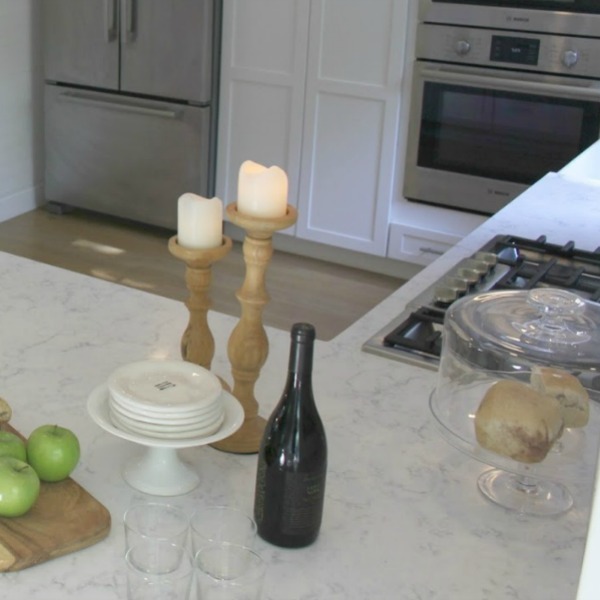 15 Smart Reasons to Choose Minuet Viatera Quartz for Counters in the Kitchen and Bath…in case you are trying to decide. This was an important factor considering our kitchen receives only filtered light from the west and mostly shaded Northern exposure. Since I crave natural light, I didn’t want any dark expanses in the space, sucking up what light I do get. Viatera Minuet has a polished surface with just the right amount of sheen for my taste. 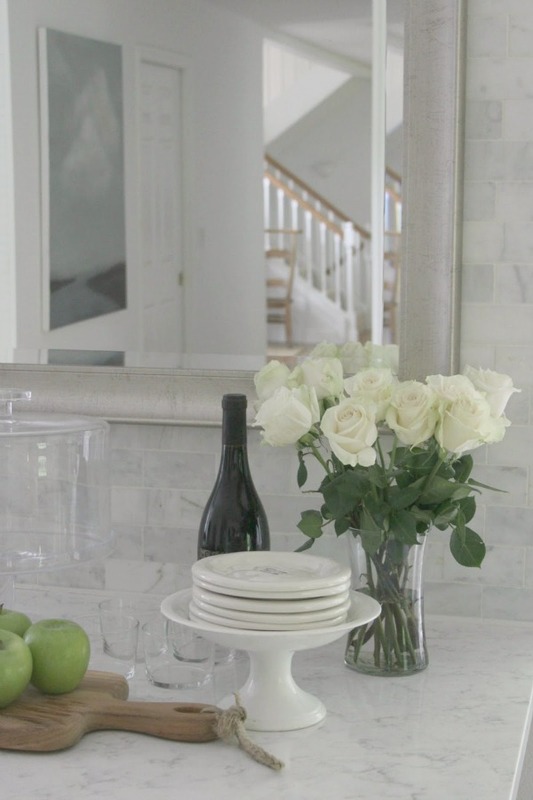 I chose a polished marble for the wall and even hung a mirror over the counter for the same reason – to bounce the maximum amount of light around! Hello Lovely Studio. Viatera Minuet Quartz photos of countertop in our white kitchen. 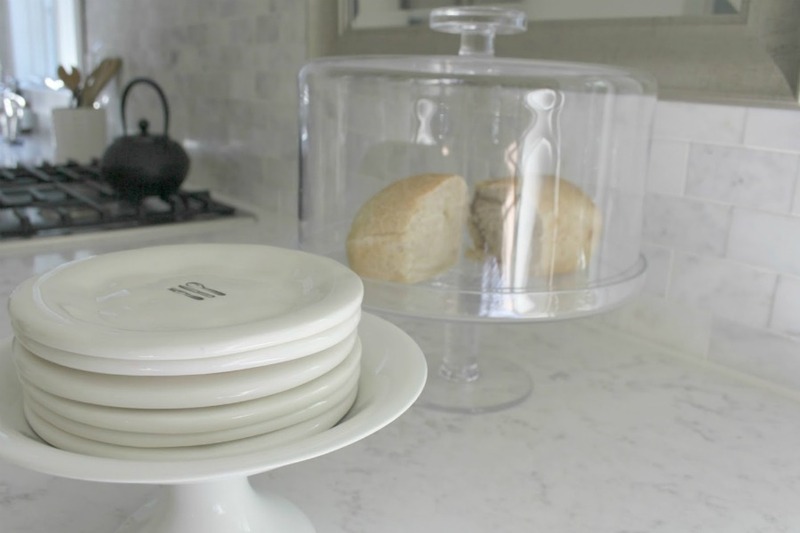 15 Smart Reasons to Choose Minuet Viatera Quartz for Counters in the Kitchen and Bath…in case you are trying to decide. Viatera Minuet quartz. 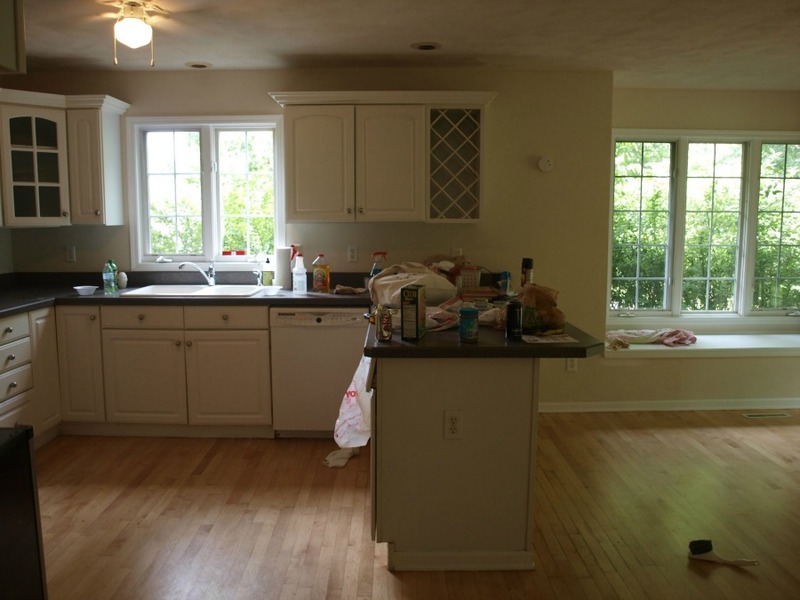 Our kitchen before we demo’d and transformed every surface. I love natural stone and beautiful marble surfaces, but you don’t want to mix your citrus juice with those countertops! There is plenty of proof in this story that lemons show up on our kitchen counters frequently! While lemon juice won’t stain marble, it can etch it due to its acidic content. 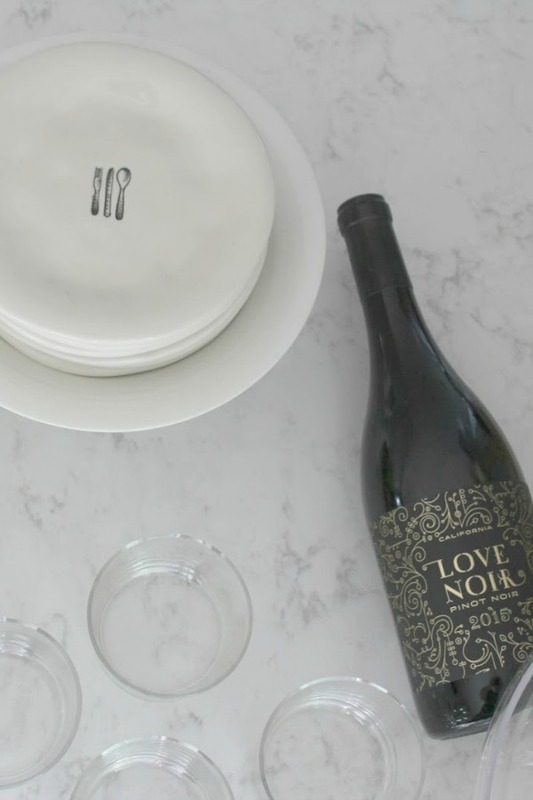 If you’re someone who spills coffee or red wine frequently on the kitchen counter, quartz may be your best friend. 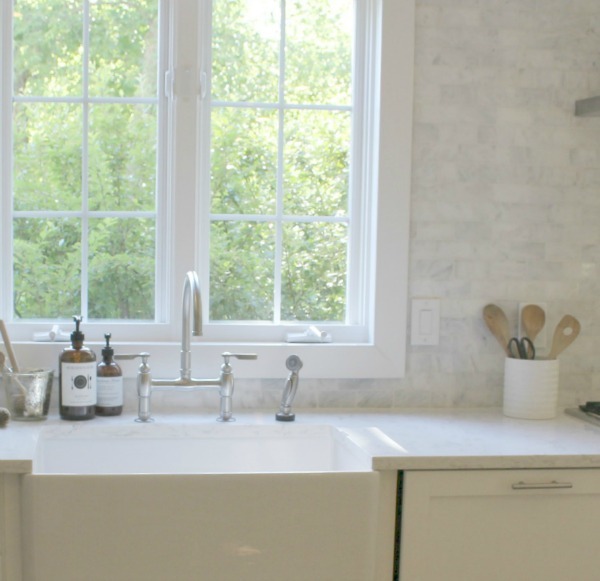 Truth be told, I never gave a thought to how Viatera Minuet quartz would look with the fireclay farmhouse sink I chose for our kitchen design. The sink was one of the first purchases I made for the kitchen, and it stayed in the box until the last minute. What a triumph that they work so well together! Definitely a lucky match. Hello Lovely Studio. Viatera Minuet Quartz countertop photos in our white kitchen 15 Smart Reasons to Choose Minuet Viatera Quartz for Counters in the Kitchen and Bath…in case you are trying to decide. SHOP MY HOUSE RIGHT HERE. Quite often, I am asked about the marble subway mosaic tile we chose for the statement wall in the kitchen. With so many options for a tile backsplash, I didn’t choose a tile until after I chose Minuet. The polished venatino mosaic subway tile I bought was right off the shelf at Lowe’s right here. Hello Lovely Studio. 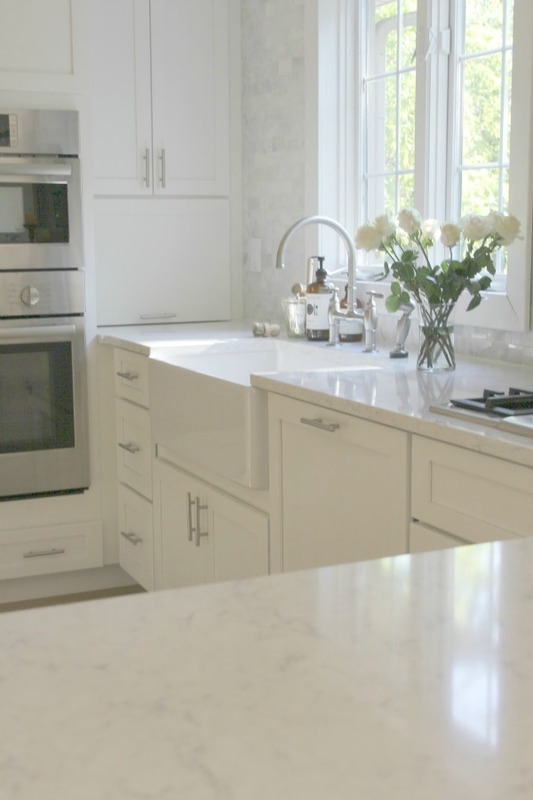 Viatera Minuet Quartz countertop in our kitchen design is bright white, serene, and elegant as well as durable and easy to clean. 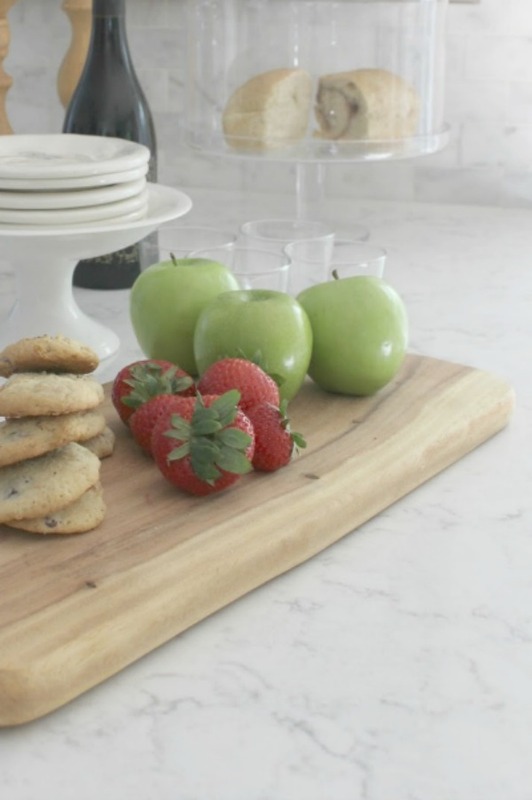 15 Smart Reasons to Choose Minuet Viatera Quartz for Counters in the Kitchen and Bath…in case you are trying to decide. If you’re like me, you freak out a little when the first scratches on your perfect new quartz countertop happen! 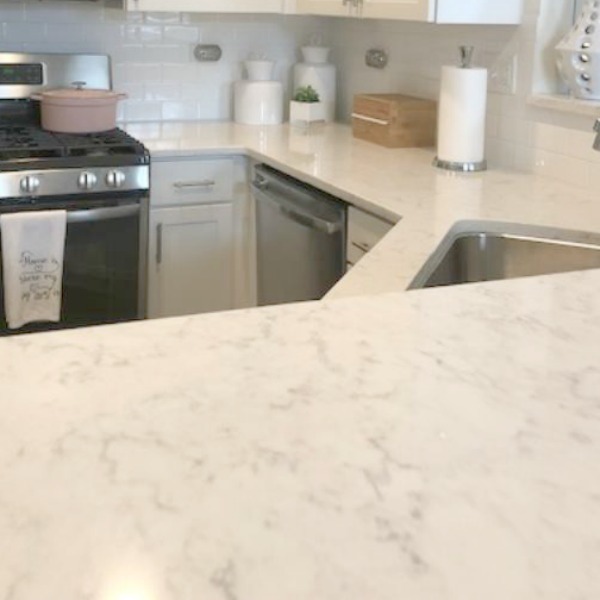 Our Minuet quartz was installed in 2015, and I have never needed any subtle scratches bug me enough to get the countertop buffed or modified. 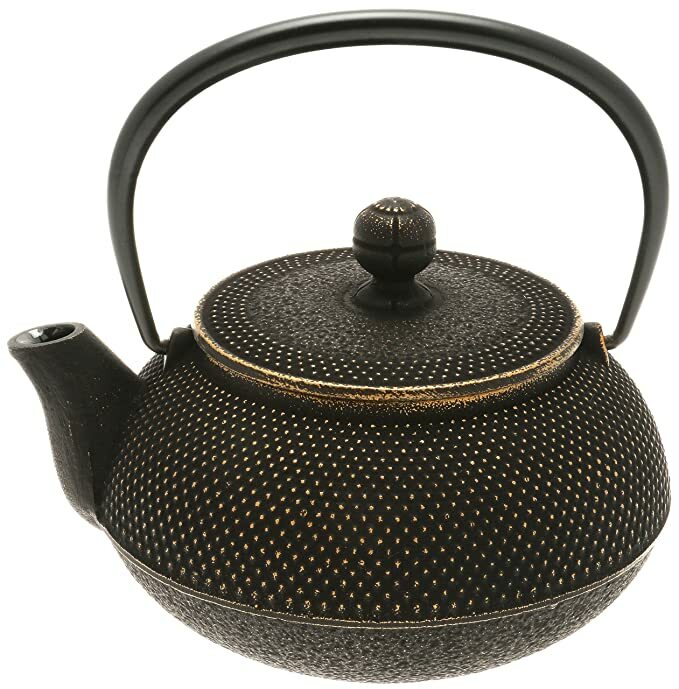 It is a forgiving surface that doesn’t easily etch or scratch. Hello Lovely Studio. 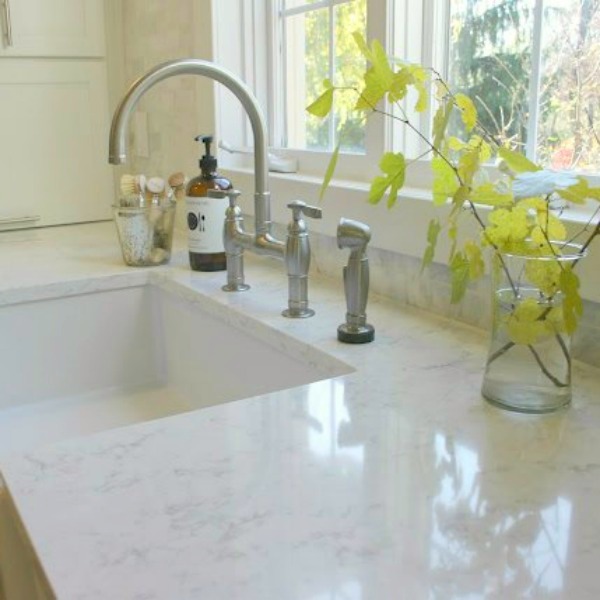 Photos of Viatera Minuet Quartz countertops in our white kitchen. 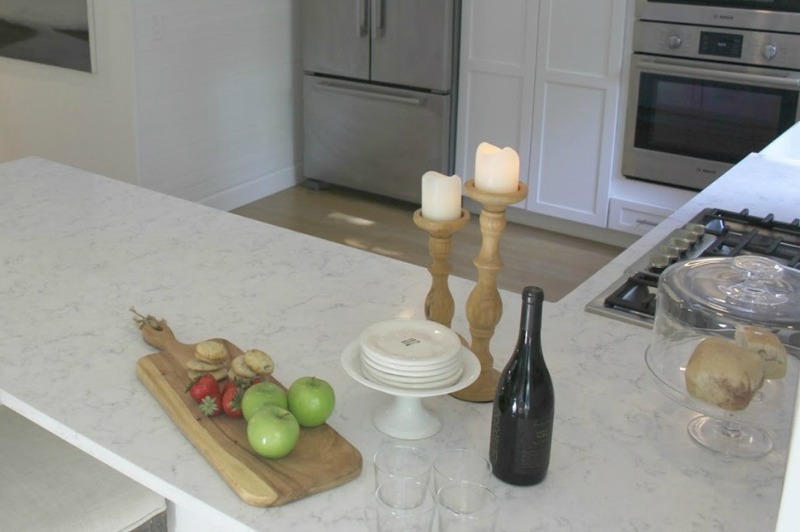 15 Smart Reasons to Choose Minuet Viatera Quartz for Counters in the Kitchen and Bath…in case you are trying to decide. Even if you’re not going for a French bakery look, you may appreciate how Viatera Minuet quartz has a crisp clean look! I love it when I am asked whether I’m one of those bloggers who actually cooks and bakes or just styles pretty things. This is a real working kitchen, and it’s not very large so every work surface with quartz gets used and abused regularly. And I’m often clumsy in the kitchen in terms of dropping pans, dishes, hot soup, wine, and you get it…The Minuet looks awesome after years of abuse. Hello Lovely Studio. Photos of Viatera Minuet Quartz countertops in our white kitchen. 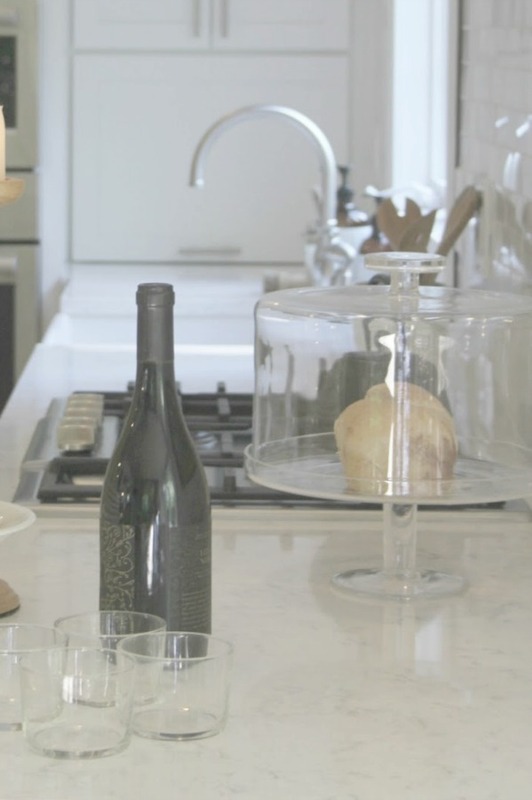 15 Smart Reasons to Choose Minuet Viatera Quartz for Counters in the Kitchen and Bath…in case you are trying to decide. See more of my kitchen RIGHT HERE. 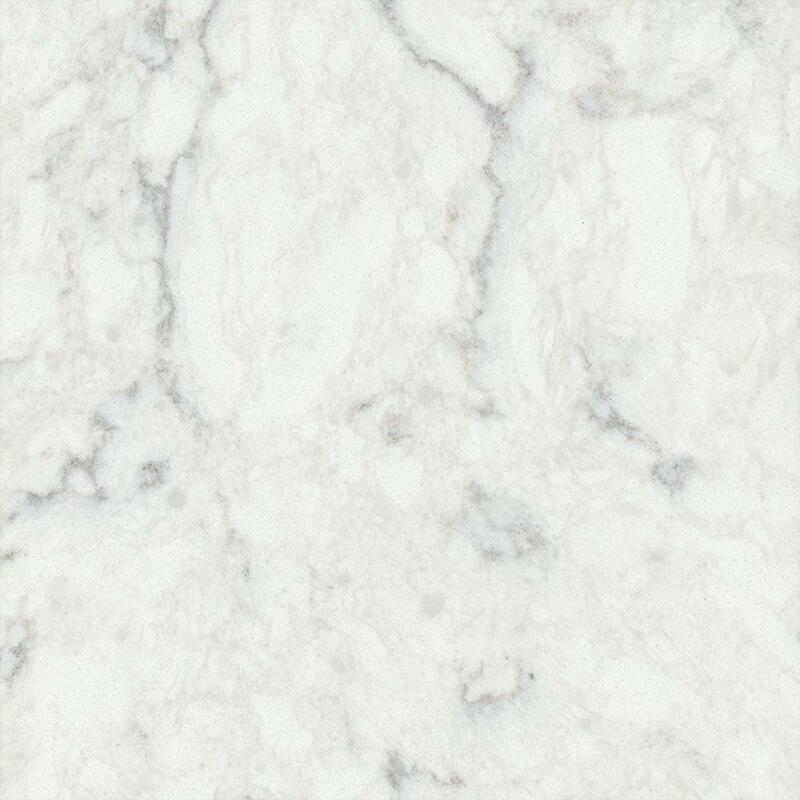 Even though I love the look of some calacatta-imitating quartz options, those large expanses of white scare me a little bit. I like the amount of veining in Minuet for concealing everyday crumbs and the occasional scrath. If you have lived with any solid color countertop, I bet you know what I’m talking about. This point is related to the previous one about Minuet’s forgiving-like veining. Since I chose natural carrara marble in a couple of our bathrooms, I can tell you I have noted more changes in the marble. There are parts of the marble that are discolored from age and use. And there are scratches in the marble. 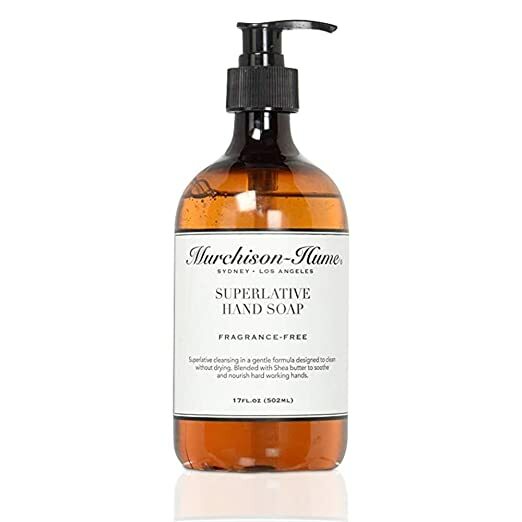 Additionally, our marble vanity tops absorb liquids, and let’s face it, corrosive substances (whether it’s personal hygiene items or cleaning products) may affect natural stone. I’m afraid carrara would have caused me a few headaches in the kitchen so I’m happy the quartz is there. 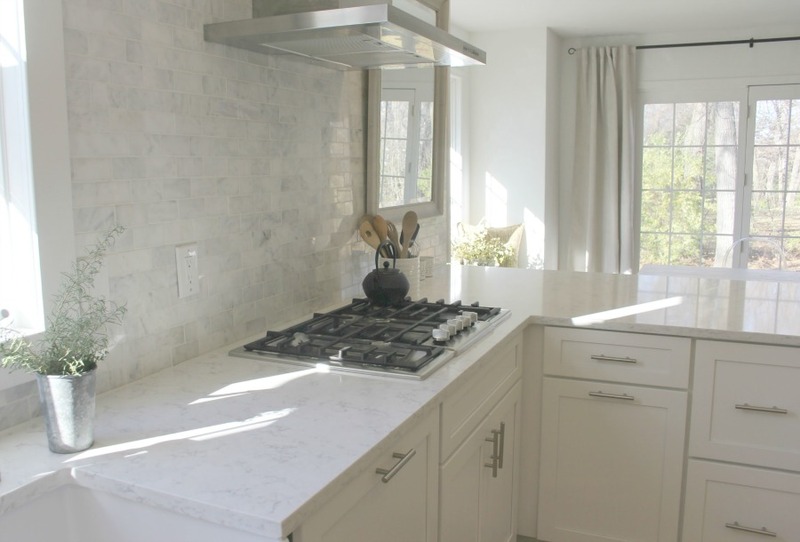 With so many white quartz options, you might find the process of choosing one quite dizzying. Some of the veining patterns themselves can be dizzying. I like Minuet’s gentle pattern that doesn’t feel too artificial, although it is fairly uniform. In choosing quartz, I wasn’t trying to ‘fake’ natural marble–I don’t think that should be the point. Rather, I wanted a surface to work harmoniously with the other design elements chosen for the space. The light grey veining in Minuet provides enough contrast with the quartz’s white background while also remaining subtle. If you’re after an elegant, timeless, and tranquil mood in the kitchen, this countertop color may also be right for you. Another Viatera quartz color I fell in love with? Soprano! We put it in our Arizona kitchen when we completely gave it a makeover with no demo, just upgrades. See it RIGHT HERE. In our prior French country kitchen I designed, I chose a warm sand-hued quartz which worked well with creamy cabinets and travertine marble accents. While it was a wonderful quartz to live with, I do like the elegance of Minuet, which imparts less of a beachy and organic feel. 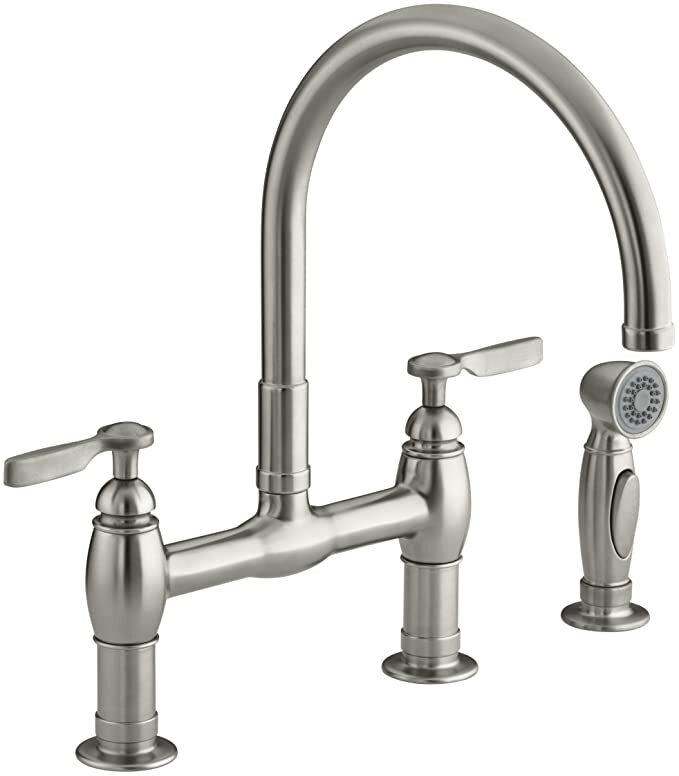 How do I know Viatera Minuet quartz works well with other kitchen designs? Because my sister Jo chose it for her more modern kitchen with its wraparound raised bar counter, and it looks great! Let’s tour Jo’s kitchen. Hello Lovely Studio. 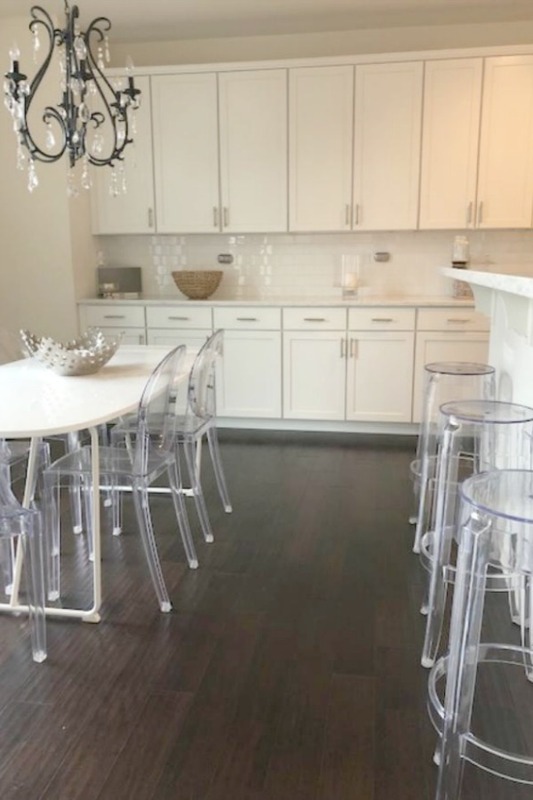 Photos of Viatera Minuet Quartz countertops in a white kitchen. 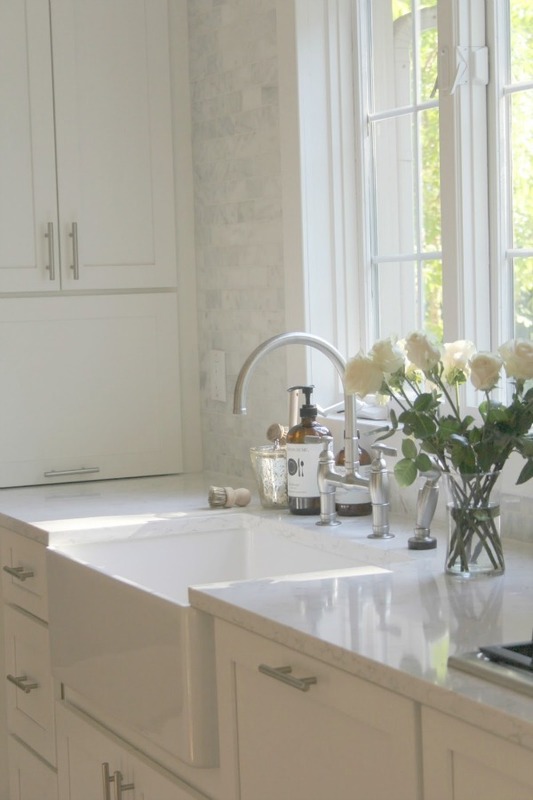 15 Smart Reasons to Choose Minuet Viatera Quartz for Counters in the Kitchen and Bath…in case you are trying to decide. I snapped these a couple of days ago for your reference, and I’ll try to get more images of the Viatera Minuet in her bathrooms – she continued the material throughout her newly built home and loves living with the quartz. Hello Lovely Studio. 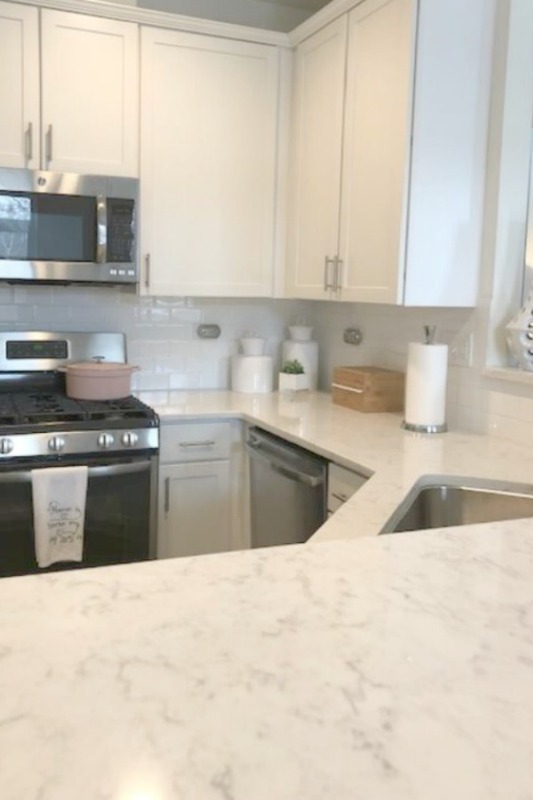 Photos of Minuet by Viatera/LG quartz countertop in a kitchen with Shaker style cabinets has a gentle veining and sets a decidedly tranquil mood. 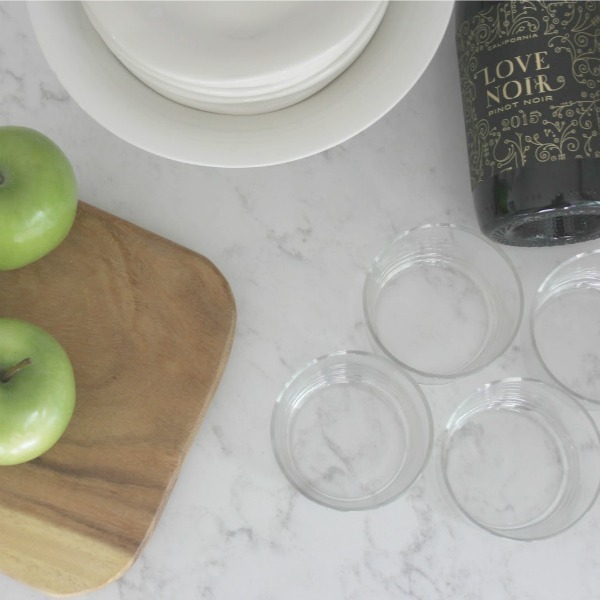 Help for How to Choose a Bright White Quartz Countertop…just in case you are quartz shopping. Hello Lovely Studio. 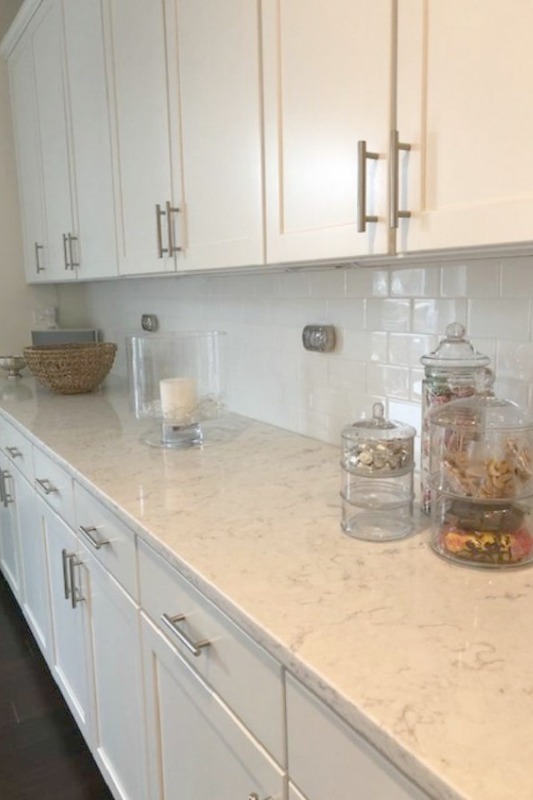 Photos of Minuet by Viatera/LG quartz countertop in a kitchen with Shaker style cabinets has a gentle veining and sets a decidedly tranquil mood. Hello Lovely Studio. 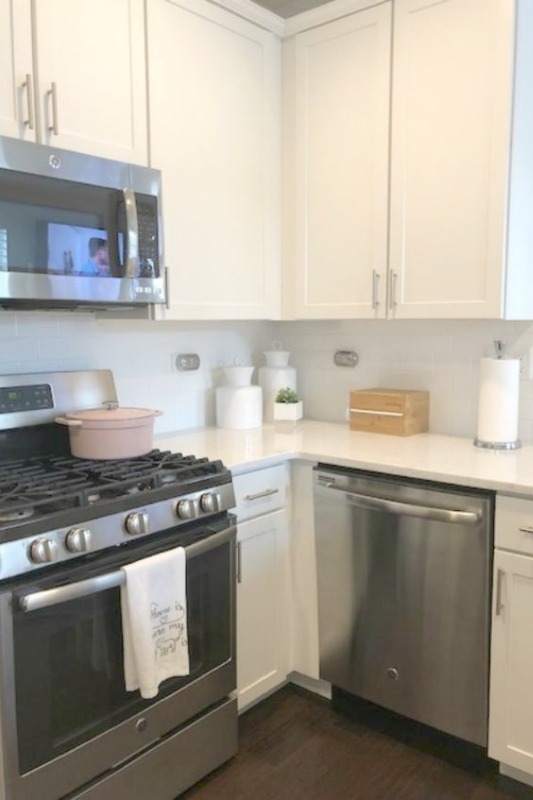 Photos of Minuet by Viatera/LG quartz countertop in a kitchen with Shaker style cabinets has a gentle veining and sets a decidedly tranquil mood. 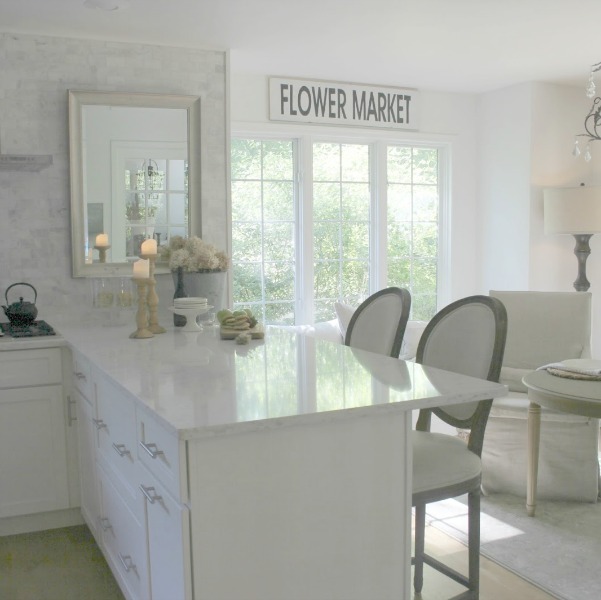 Help for How to Choose a Bright White Quartz Countertop…just in case you are quartz shopping. Viatera Minuet quartz. Hello Lovely Studio. 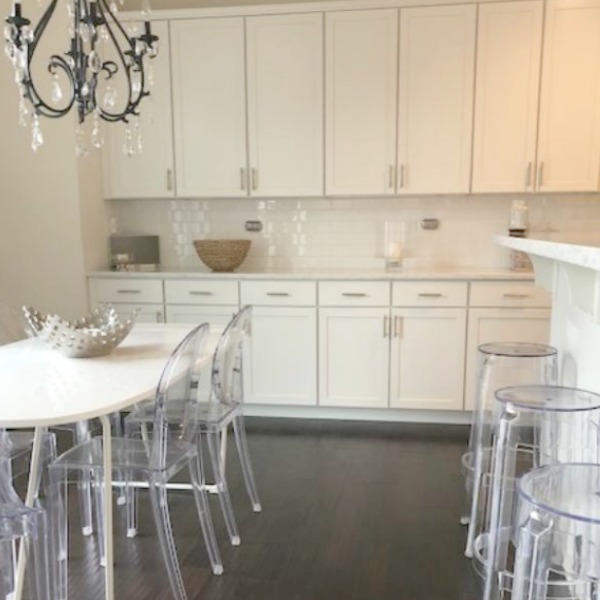 Photos of Minuet by Viatera/LG quartz countertop in a kitchen with Shaker style cabinets has a gentle veining and sets a decidedly tranquil mood. Viatera Minuet quartz. A few years back, we bought a vacation home in Arizona to fix up and completely made over the kitchen, choosing Viatera quartz for the counters. We went for a warmer, creamier look with Viatera Soprano…see that kitchen HERE. I am actually heading to my sister’s kitchen this morning for brunch and bringing along my Creme Brulee French Toast (recipe in THIS STORY). Yum! Previous Post When Life Gives You Lemons, Make Limoncello! Next Post 9 Lovely Beauty & Lifestyle Hacks for Spring!